Although Bank Craps is the most common version of craps played in casinos, there are a number of different versions of craps, each with their own unique rules and odds. Normally, the only major differences for the games below is the rules for the Come Out roll. However in Simplified Craps, for instance, the game shares almost nothing with the original version, with a completely new betting system and rules. Crapless Craps was invented by Bob Stupak, who wanted to create a game of craps where you could never lose a Pass Line bet by rolling a 2,3 or 12 (Craps). 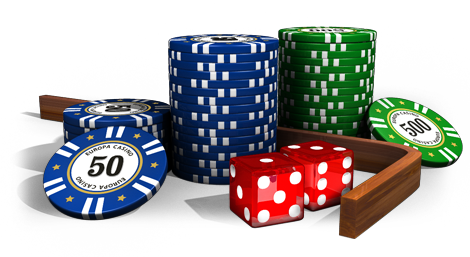 Crapless craps is a popular variety of craps played outside casinos, and gives better odds to the player by reducing the house edge for Come Out rolls. Also known as “ruse craps” and “never ever craps”, it is most popular in the state of Mississippi. You can play Open Craps on the street. Open Craps gambling games (also known as Private Craps) are run illegally, usually in private settings, with one person bankrolling the game. Overall, the odds in Open craps are worse off than Bank Craps, however this also means players can win or lose more in the game (making it more exciting). Open craps is very similar to Bank Craps, except there are a few different side bets. A typical home-made Open Craps table has Win Line and Lose Lin along the numbers 4,5,6,8,9 and 10. The game kicks off with the shooter placing his bet in the centre of the playing area, all other players then have the option to cover all (or part) of the initial wager by placing their bets in the centre too. This part is known as Fading. After the shooter rolls the Come Out, the game is played like normal craps. If the shooter throws a Natural, then he takes all the money in the centre of the table. If the shooter throws Craps, then all players take their wagers back and split the shooter’s wager between them. There are a number of side bets players can make also. All side bets pay 5% commission to the house, which is where it gets all its money. Common side bets include Point Bets, Hardway Bets, Off Number Bets and Proposition Bets. High Point Craps is another fun version of Craps. In High Points craps, an initial roll of 2 or 3 is ignored until a different total is made. A roll of 11 or 12 makes you win even money (1:1), and anything else sets the Point number. Now you have to roll a number higher than the Point to win, anything less and you lose. Asides from this, the basic rules and bets of normal craps remain. The house has a 2.35% edge in High Point Craps. New York Craps is predominantly played in New York, parts of the UK, and the Bahamas. The rules of similar to Bank Craps except you cannot make Place Bets or Come/Don’t Come Bets. All players must play on the box numbers 4,5,6,8,9 or 10. In addition, the table layout for New York craps is different, with two boxmen standing either side of the stickman and a base dealer at both sides of the table. Overall, New York Craps has slightly worse odds than Bank Craps, the casino take a 5% edge on all wining bets. However, it is still a fun game to play. This is the best craps game for beginners. As the name suggests, Simplified Craps is a run-down version of the popular casino game with more simplified rules. Rather than having lots of complicated side bets, Simplified Craps has a very basic betting system. There are no Pass Line/Don’t Pass Line bets, Craps or Naturals. You simply roll the dice, and depending on what number is rolled, you win or lose. The payouts are determined by the specific number you roll. Unfortunately Simplified Craps players are forced to sacrifice a large house edge for basic rules (house edge is 2.8%). However, I really enjoy playing this game and the lack of recondite betting systems means new players can join in more easily. The player wins if he/she throws a 2, 3, 4, 10, 11, or 12. The player loses if he/she throws a 5, 6, 7, 8, or 9.